Let LAS handle all the details and provide you with worry-free and enjoyable charter travel. This booking guide outlines what we do for you and a few things you'll find helpful to know when travelling with us. Contact us to obtain a no-obligation custom quotation for your travel needs. We'll work with you to gather all your requirements and to start planning all the details. We bring a wealth of experience travelling to many places and are pleased to offer suggestions to make your entire trip a success. We provide you with a detailed, all-inclusive quote outlining all charges, fees, and taxes with no surprises. Prior to your departure, we ask that you provide us with your final list of passengers. We'll confirm any final details such as luggage requirements and restrictions and special instructions. On the day of departure, please ensure that you have all your travel documentation such as passport and applicable visas. While you can arrive and leave immediately, we suggest arriving at least 30 minutes before your planned departure time to allow luggage to be loaded and everyone to be seated comfortably without being rushed. Please ensure that your luggage meets standard safety requirements for dangerous goods transportation. During the flight, you may access your luggage, move around the cabin as you please, and enjoy all the in-flight amenities. On Challenger 605 flights, a flight attendant is present at all times to serve your needs and assist with setting up the bed. We will provide you with maps and other itinerary information for your point of embarkation. We will provide you with the flight crew's contact information should your travel plans change. At any time, you can also call an LAS associate with any questions. 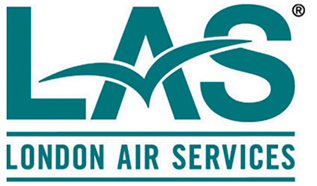 LAS is a Signatory Carrier to the US Visa Waiver Program (VWP). This provides qualifying foreign nationals with visa-free travel in the US for up to 90 days. For more information visit the VWP Information page on the US Department of State website. 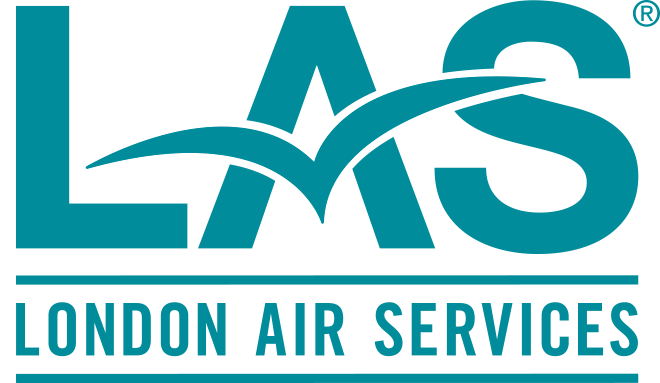 To request information about a flight with London Air Services, please fill out our Flight Planner form below and a representative will be in contact with you within 24 hours. Alternatively, an associate is available to speak with you by phone twenty-four hours a day, seven days a week. Please enter any details on your trip such as destinations and dates, special requests, etc.